Got a late flight out on Monday? Join us in the morning here at HQ where we'll be recovering from the weekend, skating, and talking about all the madness that went down at Tampa Pro. We're 10 minutes from Tampa International Airport. 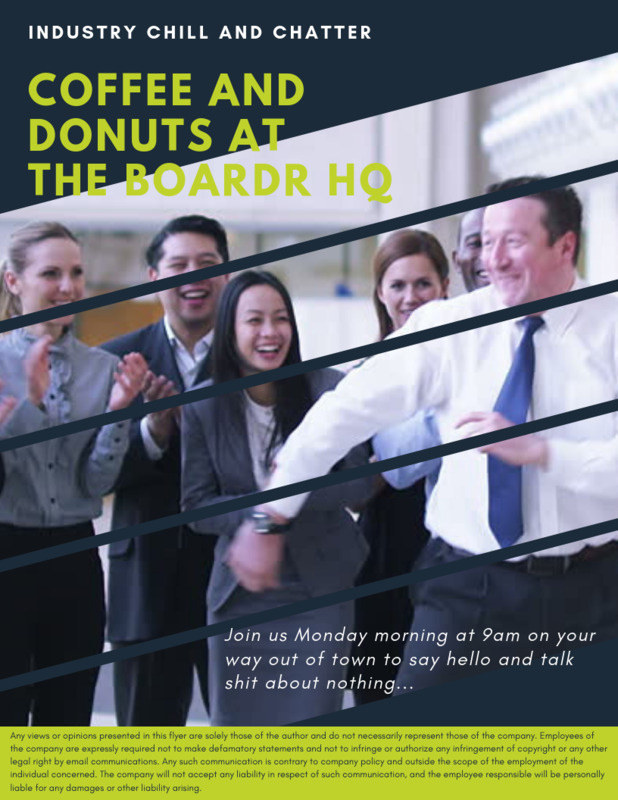 9am - noon: Coffee, donuts, and chats about the industry.